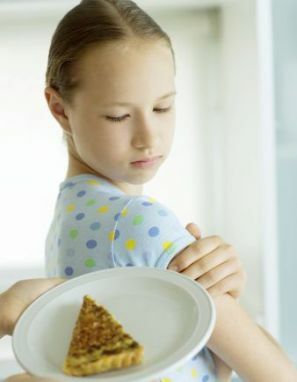 Most mothers will complain about the fussy eating habits of their children, but many of them will be unaware of the possible eating disorders in children. Children may have a natural affinity towards junk food, but this does not necessarily mean that they have an eating disorder. It is more likely a matter of taste winning over the lack of nutrition in these cases. If you begin to serve your children fruit regularly as a snack they will just as soon get used to that rather than sugar charged pastries or salt soaked potato fries. The primary reason for eating disorders in children is the stress and anxiety caused by social and cultural factors. The acceptance of their peers plays a major factor in the growth and development of the children. If they are perceived to be unacceptable physically such as being too fat or being too skinny they may decide to manipulate the way they eat to make this better. Instead they end up eating incorrect foods or inadequate food. They may exercise more than necessary and even indulge in purging behavior. The three main eating disorders in children are anorexia nervosa, bulimia nervosa and binge eating. In anorexia nervosa the child is obsessed with being thin. The child will limit food intake to ridiculously low amounts and end up with malnutrition. The children are very critical of themselves and can get compulsive about calculating each bite that they eat. The body will be thin but unhealthy and the child will be in essence starving. In bulimia nervosa the child will be usually on the fatter side to being obese. These children tend to eat a great deal and then feel guilty about it and induce vomiting. Or they may use laxatives to purge their systems. So if your child tens to head to the wash room after eating a meal and you hear them purging either way they may be suffering from this disease. 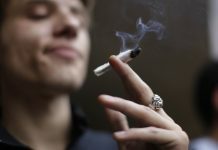 They may have great mood swings and might indulge in alcohol or drug abuse. In binge eating the child will be consuming large amounts of food, but there is no throwing it up as there is in bulimia nervosa. These children usually indulge in binging because of extreme emotions. These can include anger, stress, depression, boredom, sadness or worry. As the child usually indulges in these eating disorders due to psychological or social factors it is necessary for the parents to help them gain a better perspective of these factors. A little pumping up of the self image of the child by the parent can go a long way in the treatment of the eating disorder. Medical attention is necessary as the parent is not equipped to help the child without professional advice. Some counseling may also benefit the child. Allow the child to trust you and explain why they feel the need to deviate from regular eating habits. As they feel emotionally accepted they will begin to lose the urge for the irregular eating habits. Previous articleWhy Does Diabetic Foot Pain Occur? Overcome Bulimia To Live A Healthy Life!